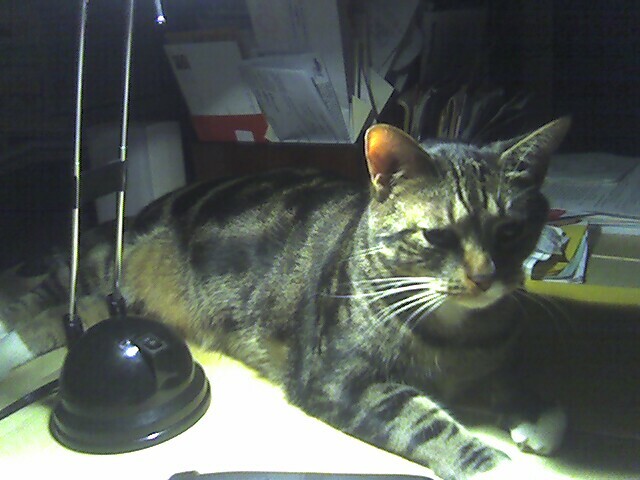 On Thursday, September 1st, 2005 we found our cat Puma, who had been missing since Sunday, August 28, 2005. Once again, he was under our shed. He was definitely not there on Monday (Patricia and I both looked), nor did he meow in answer to our calls in the intervening days, but today I took another look just in case. He seems none the worse for wear, except that his collar is missing. Previous Post Puma is Lost Again – $100 Reward for Return! Should stay home where he is well taken care of! Little stinker! Glad you found him. Contimplating dual screen doors yet? Need somebody to come have a *serious word* with him? He totally needs to stop doing this to you. I am very glad he’s home.